The site is currently undergoing maintenance. We apologize for any inconvenience. 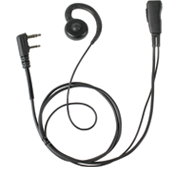 (PRO-GRADE Series LMC-1DR Series Lapel Microphone with D Ring Earpiece that can be used on either ear. 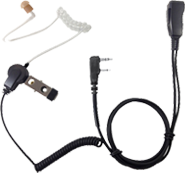 PRO-GRADE Series - LMC-1EH Series Lapel Microphone with Earhook Speaker like the RESPONDER Series but more economically priced. PRO-GRADE Series - Unique Adapter Protects your VERTEX Radio and comes compete with a D-Ring Lapel Mic . PRO-GRADE Series - Unique Adapter Protects your VERTEX Radio and comes compete with a SWIVEL (G-Hook) Lapel Mic . PRO-GRADE Series LMC-1AT Series Economically Priced, Acoustic Tube, Surveillance Kit with Clear tube earphone, rugged PTT and stainless steel hardware. 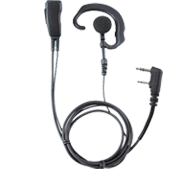 PRO-GRADE Series LMC-1GH Series Lapel Microphone with SWIVEL (we call G-Hook) Earpiece that can be used on either ear and is easy to clean and use. © Copyright 2018 PRYME.COM Brea, CA All rights reserved.